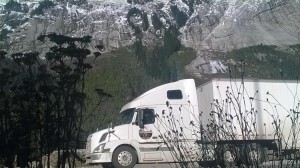 If you are looking for a Canada Wide moving company to help you with a move anywhere from the West or East Coast of Canada, Mountaineer Movers can help you to make this transition. Are you being transferred out of Country we can help with pricing as well. Have you got a small shipment or a large shipment or even a vehicle for a Canada wide move, give us a call we will see how we may help. With 35 years of moving experience behind us, we are well qualified to help you with your long distance move. Located in Hamilton Ontario Canada, we want to be your choice for long distance, Canada wide mover. Contact us for a quote today! “We moved home and office last week. Despite using a ‘brand name mover’ in the past, our last experience with moving households had been a disaster and I did not want to repeat that experience. If you need a long distance, Canada wide moving company for residential or commercial moves, our service area includes: Hamilton, Burlington, Oakville, Milton, Mississauga, Grimsby, St. Catharines, Niagara Falls, Welland, Binbrook, Ancaster, Dundas, Caledonia, Brantford, and all municipalities in the Hamilton, Halton, Niagara and Brant Region. See our service area page for a more complete list. 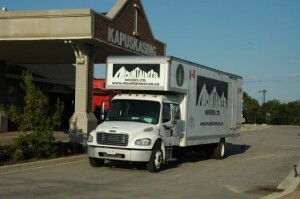 Make Mountaineer Movers your mover of choice as your Canada wide mover. Remember we also provide private storage in our climate controlled, secure facility in Hamilton.